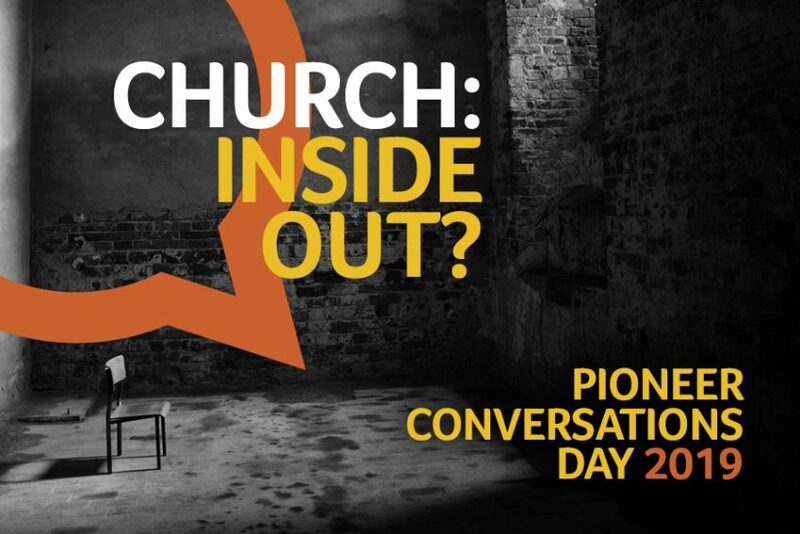 Conversations day: church inside out? Tickets are now on sale for our next Pioneer Conversations Day. These events are always a fantastic opportunity to hear some of the latest thinking around pioneering and fresh expressions. This year the day is entitled ‘Church: Inside out?’ and the speakers and workshop facilitators will explore the connection between mission and church. Questions to be considered will include, what is church? When does what we’ve pioneered become church? Can we have church-free Christianity? And who decides what is church? It costs £30, to include lunch (if you are not currently studying with us on either the undergraduate or MA programme), and will take place from 10am-4.30pm on 4 March 2019 at Church Mission Society, Watlington Road, Oxford OX4 6BZ. One of the main speakers this year will be Stefan Paas who is Professor of Missiology at the Theologische Universiteit, Kampen in the Netherlands. He is renowned for researching and writing on the themes of church planting, innovation and missional communities, all within the context of a secularised western culture. He is currently working on his next book, Pilgrims and Priests: Christian mission in a post-Christian culture, coming out later this year. We’re also delighted to have Clare Watkins addressing us. Clare is a Reader in Practical Theology and Ecclesiology at the University of Roehampton, London. A Roman Catholic, lay-woman theologian, committed to teaching and research in the areas of ecclesiology, sacramental and practical theology, she has a particular concern for working in ways that contribute to ministerial formation through church life and mission. There will also be a comprehensive programme of workshops. Pete Ward, Professor of Practical Theology at Durham University, and author of Liquid Ecclesiology, will unpack his theories about the relationship between culture and the way we do church from his book and apply them to current trends observed in the West. Nigel Rooms was a former director of mission and ministry in the Diocese of Southwell and Nottingham, having worked for the Anglican Diocese of Tanzania for seven years previous to that. He’s now employed by CMS to deliver and develop Partnership for Missional Church which is a programme to enable local parishes to refocus their activity around mission. His workshop is on mission, ecclesiology and the sacraments. Christine Dutton last year completed her PhD on why people choose groups that are doing church differently with reference to four fresh expressions of worshipping communities in the Methodist District of Liverpool. Nicky Pybus is a Pioneer Minister in Portsmouth Diocese who writes a blog on church-free Christianity and will use her workshop to unpack what that might mean in practice. Finally, Sue Steer is an ordained Baptist pioneer and her session is entitled ‘Becoming Church’. Sue has been rooted in a growing new community for the past two years as an ecumenical Pioneer Community Worker. She is currently exploring questions around the seemingly chaotic journey of working out how to move on from being community to becoming a church community. To secure your place before tickets sell out, please go to churchmissionsociety.org/conversations. We’re looking forward to a day where we’ll be stimulated in our thinking and challenged in how we might apply that to our practice, as well as having the opportunity to connect up with pioneers from both the Starfish Network and those beyond our own pioneering community. I’ll look forward to seeing you there!